Add your name to the 2020 Class. The Institute for Advanced Advertising Studies (IAAS) Fellowship Course is open to all North Texas area agencies. 4A’s members and non-member agencies are invited to register students as early as possible since IAAS enrollment is limited. IAAS is the premier short course for “lightly” experienced advertising and marketing professionals that will help them gain greater career satisfaction and advancement. The experience is an accredited Fellowship Course of the 4A’s with a special SMU Temerlin Advertising Institute Graduate School Credit Option upon course completion. The course instructs participants in critical marketing strategy and plan development through a collaborative team approach to solve a real-world business challenge from a real client. The IAAS experience puts careers in overdrive. Just as important, the experience gained immediately adds value to the sponsoring agency as well as to the participant. Through a special arrangement between 4A’s Dallas Council and the Temerlin Advertising Institute (TAI) at Southern Methodist University (SMU), 4A’s Dallas Council IAAS 2018 students who successfully complete the program have the option of being awarded three (3) credit hours at the graduate level from SMU. Students can get the credit hours immediately after graduation from IAAS 2018 or can take advantage of this unique benefit within one year of completing IAAS 2018. 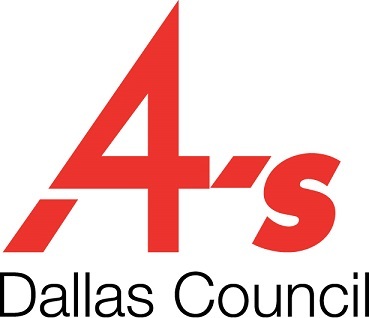 Instead of paying the full tuition and fees of $4,014 for the three (3) graduate credit hours, 4A’s Dallas Council IAAS 2018 graduates will only pay a one-time fee of $500 – a savings of over $3,500. 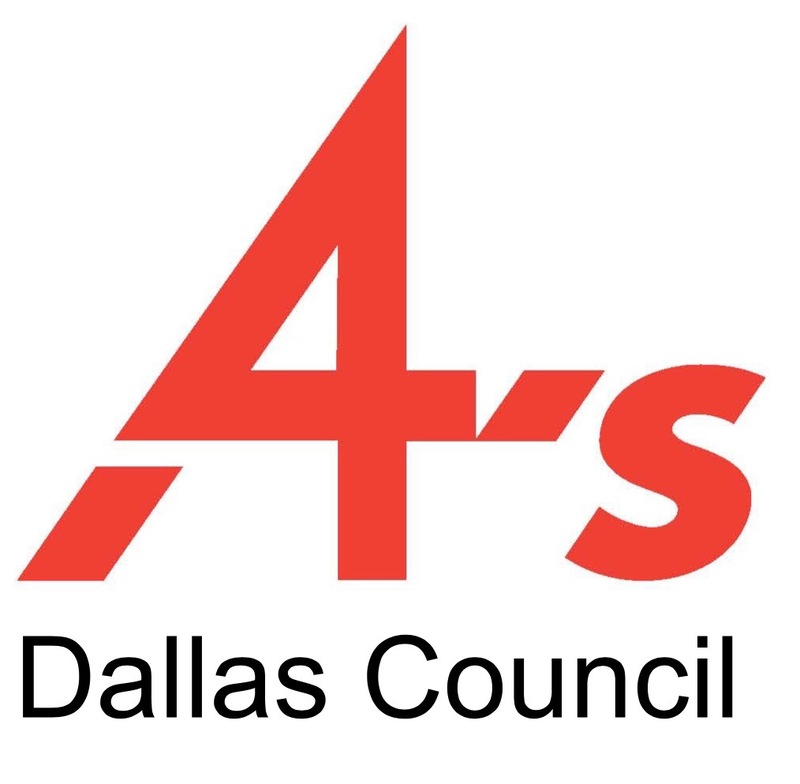 4A’s Dallas Counci IAAS 2018 participants who take advantage of this unique benefit can choose to apply those graduate credit hours to TAI’s Strategic Advertising Specialist Graduate Certificate or to the Master of Arts in Advertising graduate degree at SMU. Classes start January 22. End April 15 with a graduation presentation dinner to follow; the date to be determined. This is a 12-week program conducted each Wednesday for approximately two to three hours during the Institute period. Additional time commitment generally is required when students are assigned to mock advertising agencies in preparation for comprehensive presentations to a real client who has volunteered their time to the program. Who should attend? Who is eligible? What to expect. Young agency professionals with one to five years experience will be best served by this program, although more experienced professionals who are changing disciplines within the agency have been accepted. Participants are challenged to develop an integrated communications program in order to “win” the client through a mock pitch presentation. Selection as an IAAS fellow is considered an honor, and generally agencies pick professionals who demonstrate potential to rise within their agency’s ranks. All disciplines are welcome. Whether the participant is in account service, media, digital or creative or planning each has a profound role to play in this exciting professional development environment. Normally an agency will select people in their agency who they value, and will sponsor their full-cost participation. Pitch teams are assembled by the IAAS staff, bundled with others of different agency disciplines, and generally not paired with their own agency members. This is not class work. It’s typical agency “pitch” work, so expect to work hard and long with your team to “win” the business. If you are interested in being a part of the IAAS Fellowship Certification for 2020, we suggest you approach the appropriate person in your agency now. If you are an individual,may apply, of course, without your agency’s sponsorship. We are accepting no-obligation registrations right now. That means no money down. No obligation to attend. We’re just trying to get a feel for interests in 2020. How much is it? Pricing for 2020 has not been set as yet. See the Curriculum schedule on the drop-down menu under IAAS. Sessions will be held each week at various agencies in the Dallas area over the program period, every Wednesday evening beginning on February 6 and concluding with team-pitch presentations on April 24. A graduation dinner will be held at another time and place where the winning agency will be announced. Each week features a live topic lecture, a workshop session with leading professionals in all disciplines of marketing and advertising, and Q&A segments. Each student team receives hands-on mentoring and coaching from seasoned executives in the agency industry. After graduating from the Institute, IAAS Fellows will have gained a better grasp of the “big picture,” plus practical, actionable skills to better meet the daily challenges faced by the agency for their clients. Graduates of this program testify to a renewed passion for doing excellent work and increasing their contributions to their respective agencies. Fresh thinking on a problem that current internal resources may not have bandwidth or experience to manage. Subjects include digital and experiential marketing, presentation skills, strategic planning, and media planning. Course curriculum is included in a separate document for your review. The opportunity to provide a very real service and to give back to the Dallas marketing and advertising community. Exposure to some of the best and brightest young professionals in the Dallas marketing communications community. Client companies interested in participating for 2020 or following years, contact IAAS Director Peter Noble at noble@smu.edu or 214.361.1234.